If you’ve gone through the gamut of oven-baking, pan-frying, poaching and grilling seafood, you’re likely ready to try something new in the fish-cooking department. Breading your fish before baking or frying might be just the change you’re looking for. This technique yields an enticing and crispy texture, and the required ingredients are savory, diverse and can be tailored to any particular taste. 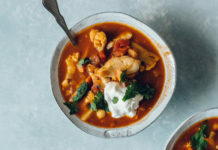 This technique is especially useful when cooking for picky eaters who are less inclined to try white fish like Tilapia. Though Tilapia has a naturally mild taste, breading will add a layer of flavors that people are already familiar with and like. Even better? 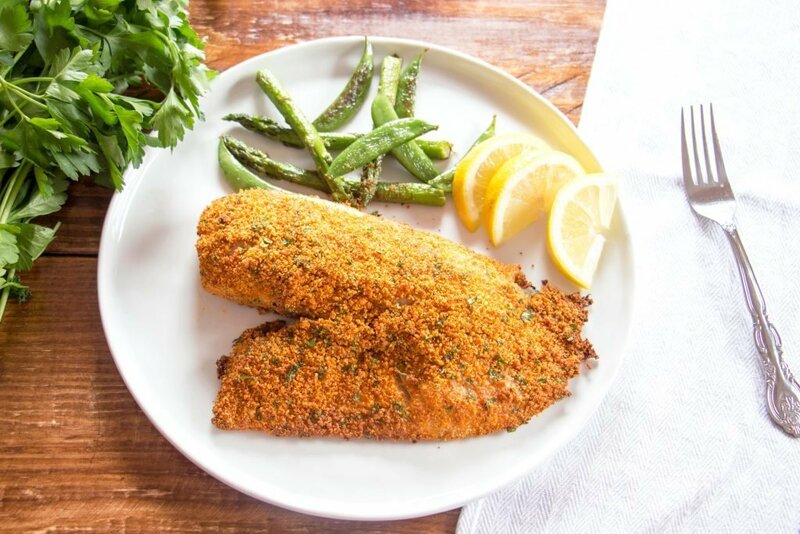 Prepping and cooking breaded fish is quick and easy, meaning a delicious and crowd pleasing dinner can be on the table in a flash. The fun thing about breading fish is that you can combine a number of different ingredients to suit your palate. 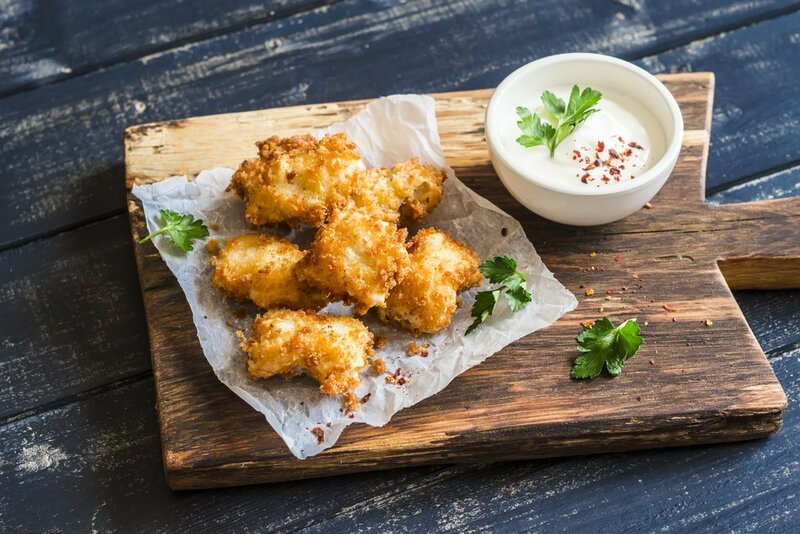 It’s more creative than you might imagine, as the baseline for any breading is typically a spice, herb and cheese mix, beaten eggs or mayo, flour and breadcrumbs. Mix and match spices like oregano, onion powder, paprika and rosemary with shredded parmesan, gouda or manchego cheeses. Use panko breadcrumbs or make your own by crushing up crackers, croutons or toasted bread. If you are gluten-free, avoid using flour. While it certainly contributes to the texture of breaded fish, flour isn’t a crucial component. To prepare your fish for cooking, begin by adding your breading mix to one bowl, your beaten eggs or mayo in another and, if using it, your flour to a third. Dip both sides of the Tilapia fillets first into the flour, then the egg or mayo and finally into the breading mix, evenly coating them in each mixture to ensure the perfect crunch. Bake fillets in the oven at 425°F for about 15 to 20 minutes, remembering to flip the fish halfway through cooking. If frying, heat about half an inch of oil in a pan on medium-high heat and cook fish for 3 to 5 minutes on each side. Use this simple recipe of eggs, breadcrumbs, olive oil and salt when taking your first shot at breading fish. 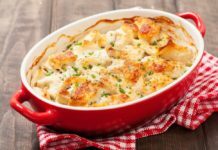 Finishing the dish with a creamy sauce or drizzle of lemon juice will enhance the crisp coating and add another flavor component. 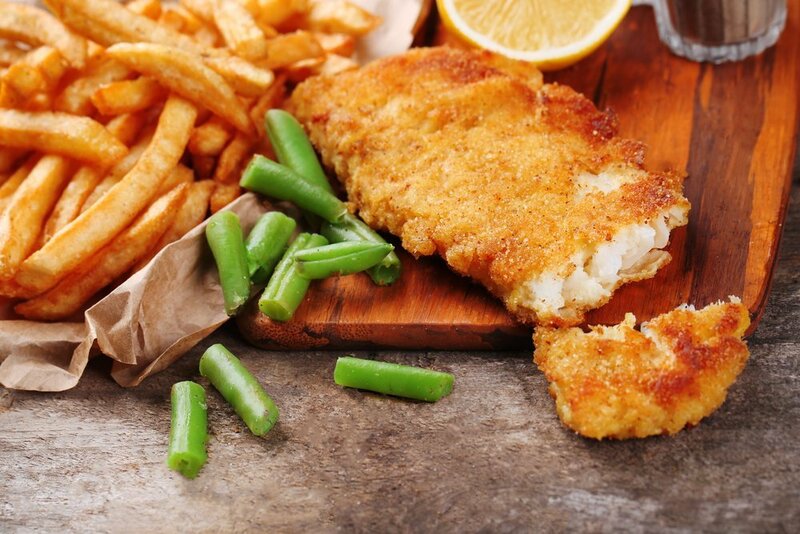 Try the Recipe: Breaded Fish Fillets from SOS Cuisine. This unbelievably simple recipe requires only three ingredients: mayo, breadcrumbs and fish fillets. The dish is downright delicious and proves just how much flavor breading can add to your favorite white fish. Try the Recipe: Crispy Oven-Baked Breaded Fish from Melanie Cooks. Parmesan is an essential breading ingredient, as its crisp texture and sharp flavor complements white fish like Tilapia. Expand on this recipe’s breading mix of oregano, garlic salt and breadcrumbs by adding a dash of dill or fresh thyme. 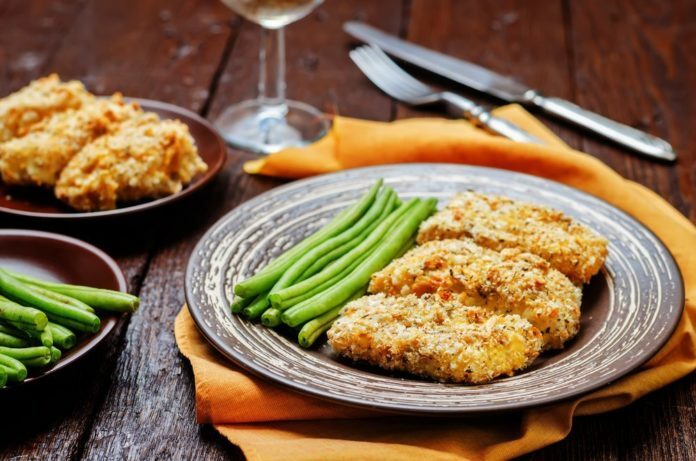 Try the Recipe: Parmesan Breaded Baked Tilapia from Taste of Home. 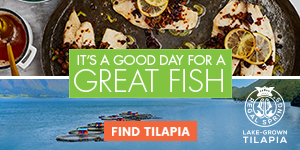 Switch up the way you cook Tilapia by breading your fillets. You won’t believe how much the simple technique can boost the outcome of your meal—and the kids are guaranteed to love it too! Don’t know where to start when thinking about creating a DIY breading mixture? 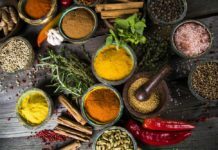 Check out Fresh Herbs and Spices to Flavor Your Fish for inspiration.